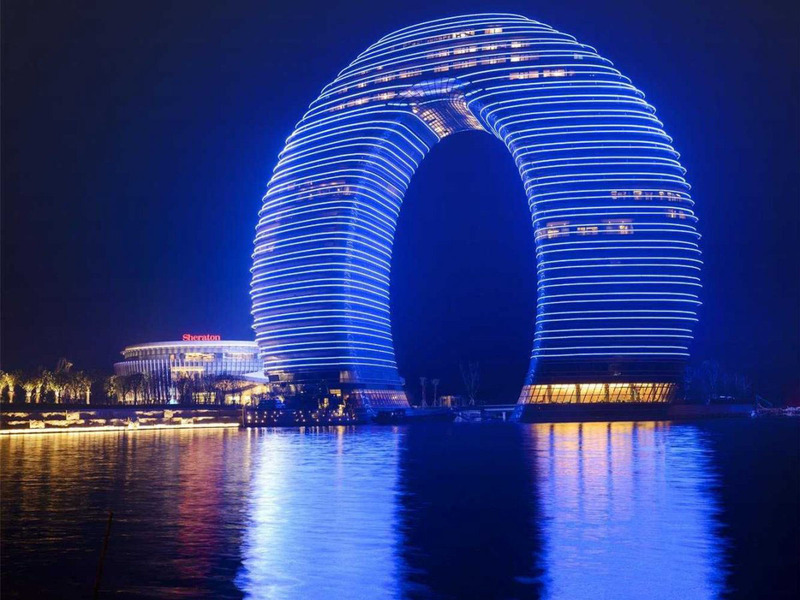 Sheraton Huzhou Hot Spring Resort located on the shores of Lake Taihu in Huzhou, near Shanghai, China is shaped like a horseshoe. It has been nicknamed “Horseshoe Hotel” and “Doughnut Hotel”. At night, the hotel glows like a giant donut.